Students are Like Icebergs: Their Attitudes Are Deep! By Michael E. Bernard, Ph.D.
Attitudes are especially important to a young person’s wellbeing. 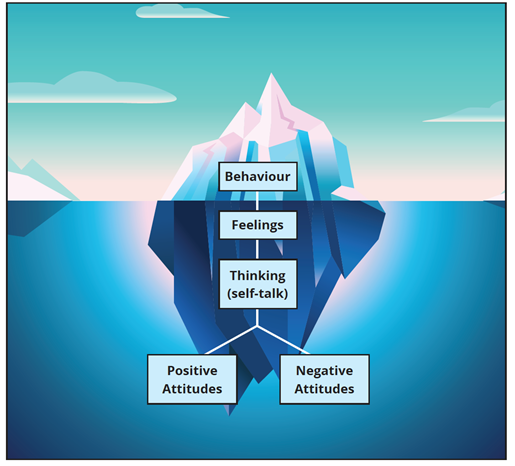 The iceberg model above illustrates the powerful influence that attitudes have on how young people, think, feel, and behave. 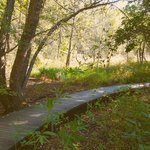 Much of my work with young people has focused on helping young people to become aware of and re-structure their negative attitudes into positive ones –this does a lot to help eliminate or reduce in frequency and intensity their emotional and behavioral difficulties as well as promote highest levels of wellbeing. Negative Attitudes are main contributors to the following five social-emotional difficulties of young people: feeling worried, feeling down, feeling angry, procrastination (feeling demotivated), and not paying attention. You know how important self-talk is to student wellbeing but have you ever wondered what determines their thinking/self-talk and whether it is helpful or harmful? The answer lies at the core of student mindset – at the bottom of their iceberg – their attitudes. These determine students’ self-talk. For example, bullying has the potential for significant emotional harm; but so too, do individuals have the potential to be less vulnerable and more resilient towards bullying and its effects. What is now abundantly clear is that a student’s attitude about bullying largely determines the effect of the bullying on their self-talk and resultant emotional and behavioural response. Two girls receive the same cyber-message on several occasions saying that each has been fooling around with a popular boy at a school party and that the boy’s girlfriend is on the warpath. Carmen is quite devastated; feeling extremely depressed about the impact of the message on her reputation, while Alex pays little attention to the message, reminds herself that she is a worthwhile person, and returns an SMS saying that the sender’s spelling stinks. My work as an educational psychologist in schools and as founder of You Can Do It! Education (YCDI!) has involved counselling students with social-emotional difficulties as well as writing social-emotional learning curricula for use with young people of all ages. In our online curricula programs, we have designed different YCDI! 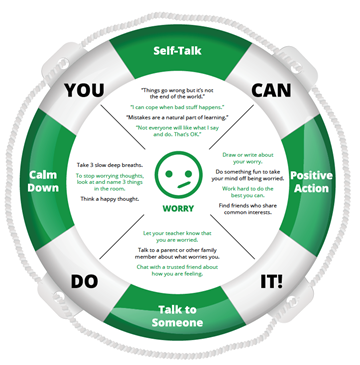 Lifesavers such as the Worry Lifesaver below that help students to develop the self-talk (and coping skills) that help them re-structure negative attitudes and self-talk. Implications for assessment and data use. Whether working with individual students, classes or schools, it is very useful to gather data on student attitudes in order to sharpen the focus of a school’s SEL or well-being program onto those specific negative attitudes that are especially prevalent for the individual or group. Similarly, if data reveals a group of under-developed positive attitudes, school and classroom discussion and activities can be chosen accordingly. Over the past 15 years, we have collected data on SEL and attitudes of over 135,000 students Australia-wide employing the ACER Survey of Social-Emotional Wellbeing (www.acer.org/au/sew) in order to better understand common attitudes and changes in feelings. For example, from 2003 to 2017, worrying too much about schoolwork or what others think has gone from 44% to 58%. (See: Bernard, M.E., & Stephanou, (2017). A. Ecological levels of social and emotional wellbeing of young people. 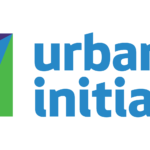 Child Indicators Research. DOI 10.1007/s12187-017-9466-7). We need to understand and be responsive to these factors in our SEL work. Another way to collect data on attitudes is through the use of surveys that students and/or teachers complete (e.g., we use the Survey of Student Attitudes). Another less formal way to collect data which we often use when conducting professional development with teachers is to present to the collective group matched pairs of positive and negative attitudes (e.g., Giving Effort vs. Giving Up) and determine which attitudes teachers as a group say are either under- or well-developed in their student population. The need to not only have a well-being program focus on the strengthening of student positive SEL skills, but also to be cognizant of social-emotional difficulties and target for these in prevention and intervention. 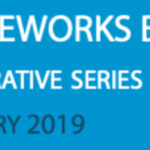 The role of negative attitudes in student well-being and how cognitive restructuring and explicit teaching of positive attitudes contributes to reductions in social-emotional difficulties and to very high levels of well-being and flourishing. How might these principles influence the way you work with young people or help others do so?